The recent Bitacle debacle has rekindled the debate between those who favor full feeds and those who prefer truncated feeds. However, as someone who debates these issues regularly, it has become clear to me that the matter is nowhere near that simple. There are many issues to weigh when dealing with this issue and there is no one correct answer. Convenience to Readers: Full feeds are much easier for readers to access. The full content can be read in their RSS readers, no need to click to the site, and it enables more choice in how to consume the content. Enables Legitimate Reuse: If you have a Creative Commons License and allow a good amount of reuse, full feeds make sense as they make it easier to take advantage of the content in legitimate ways. Some services, such as BlogBurst, require full feeds. Aids Searching and Indexing:Though most blog search engines can read the HTML page, a full RSS feed can aid in the process making it faster and more accurate. Greater Risk of Content Theft:RSS Scraping is the number one copyright issue most bloggers have to worry about. A full RSS feed puts the content at much greater risk of being scraped and makes the theft very easy for the scraper. Reduces Participation: Many bloggers report that full RSS feeds result in both lower traffic to the site as well as fewer comments. This can result in less advertising revenue as well as less feedback. Server Load/Bandwidth Concerns: RSS feeds, unlike regular HTML pages, are checked regularly. A popular RSS feed can require a great of server resources and bandwidth. A full feed draws more resources than a short one, especially if images are involved. It’s very clear that both sides have a very solid case and points to weigh. However, my decision was based not so much upon these issues, but rather, a separate question altogether. When I first set up Plagiarism Today, I was new to blogging and didn’t mull over the full versus short feeds issue at any length. The default setting on my installation of WordPress was long feeds and that’s what I ran with. After a few months of blogging and blog reading, I ran into the issue and debated switching over. I even researched the Feedburner features that would have made it easy to do. It was an easy question and it didn’t take long to answer. A quick look through my own feed reader showed me that, outside of some Technorati alert feeds, I was subscribed to no truncated feeds and the few I had subscribed to in the past, I had abandoned. After talking with some of my readers. I realized that full feeds were significantly more popular among the people visiting the site. I decided to keep them that way. Throughout my problems with plagiarism on all of my sites, I have never taken any action that would have hindered legitimate users. I have installed no anti-right click scripts, no text selection prevention scripts or anything else that would annoy or frustrate people wanting to legitimately use my site. It simply has never seemed worth it to me to frustrate the 99.95% of legitimate users to put up roadblocks for the few who are not. This isn’t to say that I have simply thrown caution into the wind and taken no steps to protect my content. There were several steps that I could take to mitigate the potential risks without inconveniencing regular users. The first key was to use Feedburner. Though I joined Feedburner for the metrics, its ability to protect a feed from scraping became obvious. 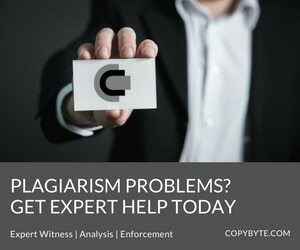 It’s uncommon uses feature can detect scraping, even before it shows up in search engines, and its copyright notice feed flare prevents outright plagiarism. The feed flare can feature can also mitigate against other risks. By adding a comment count and an “email the author” link, Feedburner encourages participation from those who do not always visit the site. Also, since the feed is not located on your server, the issues about bandwidth usage and server load become moot. Also, one can use an RSS advertising service, such as the Yahoo Publisher Network, can help with lost advertising revenue due to fewer pageviews. In the end, most of the drawbacks that come with full RSS feeds can be guarded against, reduced or outright eliminated by using Feedburner, WordPress plugins and other tools. The disadvantages of short feeds, however, can not be mitigated so easily. This isn’t to say though that short RSS feeds are a poor decision. Some times it is the perfect one. Though there is no absolute right answer as to when you should use a short feed, there are times you should look at it more closely. First, if your content is valuable financially, you should almost always use short feeds, or even headline-only feeds. Most newspapers and other mainstream media outfits use short feeds for that reason. Second, if you do not allow copying and reuse of your work, there is a good chance that a short feed is the way to go. After all, that eliminates one of the critical advantages to having a full feed. Third, if you deal with a topic that is very likely to be scraped, such as gambling, pharmaceuticals or adult-related material, the scraping danger makes truncated feeds worthy of a much longer look. Finally, if you are unable or unwilling to use Feedburner or other protection means, you almost certainly should go with a short feed. Doing otherwise assumes a much greater amount of risk. However, the bottom line in truth is that you need to figure out what role your feed plays in your online strategy. If it is intended to be something that read and consumed, they need to be kept full, if they are to serve more as notification that new content is present and encourage visitors to click, they need to be set to short. There’s no right or wrong answer, it all depends on the goals for of your blog, site or community. What is worse than the debate itself is the tendency among some in it to blame the victims or RSS scraping because they chose to use full feeds. Whether it is a misguided notion that everything in an RSS feed is fair game or that the victims were “asking for it” is not important. For starters, a large number of the people who publish RSS feeds are not even aware that they are doing so. Myspace, Xanga, Blogger and other services all publish feeds automatically and don’t always say that they are doing so or what it means. Second, many who do know they are publishing feeds do not know the risks involved. Even people who regularly use RSS feeds may not understand the inherent risk of content theft, how to guard against it or even how to set their feeds to short (if it is even possible with their service). Finally even those who understand the risk often decide, as I did, that the benefits outweigh the dangers. They don’t want to inconvenience the 99 plus percent of legitimate users to stop the few that scrape. Doing so doesn’t mean that they are asking to be scraped or that they should either set their feeds to short and be quiet. The have the right to protect their content and the right to do what they think is best for their site and their readers. Having a full feed does not make you at fault for any scraping that does take place, it just means that you might have to deal with more of it. If you accept that risk, can respond to it effectively and work to mitigate it as much as possible, no one should ever make you feel guilty for what others do to your work without your permission. In the end, the decision to use full versus short feeds is a personal one and it’s a decision you should not let others sway you on. It’s a matter of what is right for you, your site and your readers. If your goals are best met by having a full feed, there’s no reason to avoid it. Simple steps can greatly reduce the risk and most problems that do arise can be easily handled. The bottom line is to not base your decision upon fear of content theft. There are other advantages to consider, many of which will have far great importance to your readers. It pays to be smart, but it doesn’t pay to be afraid.